Our News Brief reaches over 3,000 professionals in hospice and palliative social work ever week. Stay up-to-date with the latest articles, blog posts, and news related to social work, hospice, and palliative care. 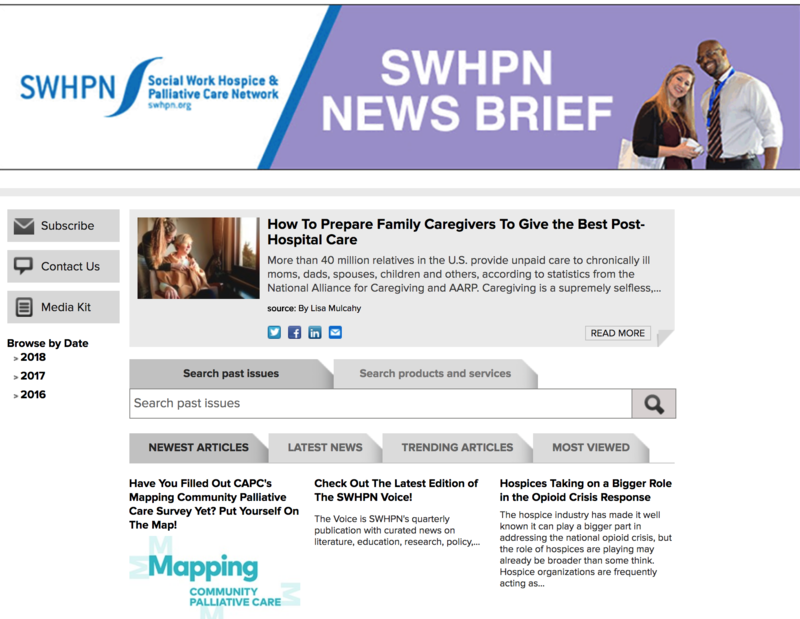 Sign up to receive this newsletter and other regular SWHPN updates here. Interested in advertising in our News Brief? Email [email protected] for more information.